I am a research scientist at Google DeepMind. Previously, I was a post-doctoral researcher at the Maastricht University Games and AI Group, working with Mark Winands. 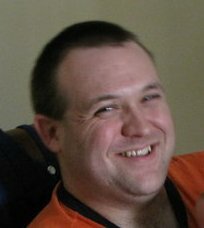 During my PhD, I worked at University of Alberta with Michael Bowling on sampling algorithms for equilibrium computation and decision-making in games. You can read all about it in my thesis. Before my PhD, I did an undergrad and Master's at McGill University's School of Computer Science and Games Research @ McGill, under the supervision of Clark Verbrugge. I am interested in general multiagent learning (and planning), computational game theory, reinforcement learning, and game-tree search. If you would like to reach me, please contact me by email. My address is my first name, followed by a dot, followed by my last name, followed by an at symbol, followed by gmail, followed by a dot, followed by com. This code contains simple examples of a number of CFR algorithms: vanilla CFR, chance-sampled CFR, outcome sampling MCCFR, external sampling MCCFR, public chance sampling, and pure CFR. It also includes an expectimax-based best response algorithm so that the exploitability of the average strategies can be obtained to measure the convergence rate of each algorithm. The algorithms are applied to the game Bluff(1,1), also called Dudo, Perudo, and Liar's Dice. Please read the README.txt contained in the archive before building or running the code. The code is written in C++, and has been tested using g++ on Linux, MacOS, and Windows. hexIT is a set of Java classes for representing and displaying a hexagonal board. It has been used to implement hexagonal board games and for course assignments. A general reinforcement learning algorithm that masters chess, shogi, and Go through self-play. David Silver, Thomas Hubert, Julian Schrittwieser, Ioannis Antonoglou, Matthew Lai, Arthur Guez, Marc Lanctot, Laurent Sifre, Dharshan Kumaran, Thore Graepel, Timothy Lillicrap, Karen Simonyan, Demis Hassabis. Symmetric Decomposition of Asymmetric Games. Karl Tuyls, Julien Pérolat, Marc Lanctot, Georg Ostrovski, Rahul Savani, Joel Z. Leibo, Toby Ord, Thore Graepel, Shane Legg. Algorithms for Computing Strategies in Two-Player Simultaneous Move Games. Branislav Bosansky, Viliam Lisy, Marc Lanctot, Jiri Cermak, Mark H.M. Winands. David Silver, Aja Huang, Chris J. Maddison, Arthur Guez, Laurent Sifre, George van den Driessche, Julian Schrittwieser, Ioannis Antonoglou, Veda Panneershelvam, Marc Lanctot, Sander Dieleman, Dominik Grewe, John Nham, Nal Kalchbrenner, Ilya Sutskever, Timothy Lillicrap, Madeleine Leach, Koray Kavukcuoglu, Thore Graepel, Demis Hassabis. Real-time Monte-Carlo Tree Search in Ms Pac-Man. Tom Pepels, Mark H.M. Winands, Marc Lanctot. IEEE Transactions on Computational Intelligence and AI in Games, 2014. Computing Approximate Nash Equilibria and Robust Best Responses Using Sampling. Marc Ponsen, Steven de Jong, Marc Lanctot. Journal of Artificial Intelligence Research, 2011. Simulation-Based Planning in RTS Games. Michael Buro, Marc Lanctot, Frantisek Sailer. AI Game Programming Wisdom 4, Charles River Media, February 2008. Variance Reduction in Monte Carlo Counterfactual Regret Minimization (VR-MCCFR) for Extensive Form Games using Baselines. Martin Schmid, Neil Burch, Marc Lanctot, Matej Moravcik, Rudolf Kadlec, Michael Bowling. Sriram Srinivasan, Marc Lanctot, Vinicius Zambaldi, Julien Perolat, Karl Tuyls, Remi Munos, Michael Bowling. Kris Cao, Angeliki Lazaridou, Marc Lanctot, Joel Z. Leibo, Karl Tuyls, Stephen Clark. A Generalized Method for Empirical Game Theoretic Analysis. Karl Tuyls, Julien Perolat, Marc Lanctot, Joel Z. Leibo, Thore Graepel. Todd Hester, Matej Vecerik, Olivier Pietquin, Marc Lanctot, Tom Schaul, Bilal Piot, Dan Horgan, John Quan, Andrew Sendonaris, Gabriel Dulac-Arnold, Ian Osband, John Agapiou, Joel Z. Leibo, Audrunas Gruslys. Marc Lanctot, Vinicius Zambaldi, Audrunas Gruslys, Angeliki Lazaridou, Karl Tuyls, Julien Perolat, David Silver, Thore Graepel. Joel Z. Leibo, Vinicius Zambaldi, Marc Lanctot, Janusz Marecki, Thore Graepel. Audrunas Gruslys, Remi Munos, Ivo Danihelka, Marc Lanctot, Alex Graves. Ziyu Wang, Tom Schaul, Matteo Hessel, Hado van Hasselt, Marc Lanctot, Nando de Freitas. ICML 2016. Won best paper award. Chrisantha Fernando, Dylan Banarse, Malcolm Reynolds, Frederic Besse, David Pfau, Max Jaderberg, Marc Lanctot, Daan Wierstra. Fictitious Self-Play in Extensive-Form Games. Johannes Heinrich, Marc Lanctot, David Silver. Online Monte Carlo Counterfactual Regret Minimization for Search in Imperfect Information Games. Viliam Lisy, Marc Lanctot, Michael Bowling. Marc Lanctot, Mark H.M. Winands, Tom Pepels, Nathan R. Sturtevant. CIG 2014. Nominated for best paper award. Monte Carlo Tree Search Variants for Simultaneous Move Games. Mandy J.W. Tak, Marc Lanctot, Mark H.M. Winands. Quality-based Rewards for Monte-Carlo Tree Search Simulations. Tom Pepels, Mandy J.W. Tak, Marc Lanctot, Mark H.M. Winands. Further Developments of Extensive-Form Replicator Dynamics using the Sequence-Form Representation. Monte Carlo Tree Search for Simultaneous Move Games: A Case Study in the Game of Tron. Marc Lanctot, Christopher Wittlinger, Mark H.M. Winands, Niek G.P. Den Teuling. Convergence of Monte Carlo Tree Search in Simultaneous Move Games. Viliam Lisy, Vojtech Kovarik, Marc Lanctot, Branislav Bosansky. Markus Esser, Michael Gras, Mark H.M. Winands, Maarten P.D. Schadd, Marc Lanctot. Marc Lanctot, Abdallah Saffidine, Joel Veness, Chris Archibald, Mark H.M. Winands. Efficient Monte Carlo Counterfactual Regret Minimization in Games with Many Player Actions. Richard Gibson, Neil Burch, Marc Lanctot, Duane Szafron. Marc Lanctot, Richard Gibson, Neil Burch, Martin Zinkevich, Michael Bowling. Generalized Sampling and Variance in Counterfactual Regret Minimization. Richard Gibson, Marc Lanctot, Neil Burch, Duane Szafron, Michael Bowling. Efficient Nash Equilibrium Approximation through Monte Carlo Counterfactual Regret Minimization. Michael Johanson, Nolan Bard, Marc Lanctot, Richard Gibson, Michael Bowling. AAMAS 2012. Nominated for best paper award. Variance Reduction in Monte Carlo Tree Search. Joel Veness, Marc Lanctot, Michael Bowling. Monte Carlo Sampling for Regret Minimization in Extensive Games. Marc Lanctot, Kevin Waugh, Martin Zinkevich, Michael Bowling. The Second Annual Real-Time Strategy AI Competition. Michael Buro, Marc Lanctot, Sterling Orsten. Adversarial Planning Through Strategy Simulation. Frantisek Sailer, Michael Buro, Marc Lanctot. Path-finding for Large Scale Multi-player Games. Marc Lanctot, Nicolas NgManSun, Clark Verbrugge. Adaptive Virtual Environments in Multi-player Computer Games. Please cite the conference or journal paper versions rather than early workshop versions where possible. The bibtex links will point to the appropriate papers. Peter Sunehag, Guy Lever, Audrunas Gruslys, Wojciech Marian Czarnecki, Vinicius Zambaldi, Max Jaderberg, Marc Lanctot, Nicolas Sonnerat, Joel Z. Leibo, Karl Tuyls, Thore Graepel. Computer Poker Tutorial @ EC 2016. Sam Ganzfried and Marc Lanctot. Minimizing Simple and Cumulative Regret in Monte-Carlo Tree Search. Tom Pepels, Tristan Cazenave, Mark H.M. Winands, Marc Lanctot. Computer Games Workshop at ECAI 2014. Search in Imperfect Information Games using Online Monte Carlo Counterfactual Regret Minimization. Marc Lanctot, Viliam Lisy, Michael Bowling. Computer Poker and Imperfect Information Workshop at AAAI, 2014. Monte Carlo *-Minimax Search (Extended abstract). Monte Carlo Tree Search in Simultaneous Move Games with Applications to Goofspiel. Marc Lanctot, Viliam Lisy, Mark H.M. Winands. Computer Games Workshop at IJCAI, 2013. An Introduction to Counterfactual Regret Minimization. Model AI Assignments, EAAI 2013. Sparse Sampling for Adversarial Games. Marc Lanctot, Abdallah Saffidine, Joel Veness, Chris Archibald. Computer Games Workshop at ECAI, 2012. MCRNR: Fast Computing of Restricted Nash Responses by Means of Sampling. Marc Ponsen, Marc Lanctot, Steven de Jong. AAAI workshop on Interactive Decision Theory and Game Theory, 2010. Marc Lanctot, Kevin Waugh, Michael Bowling. COLT (Conference on Learning Theory) workshop on "Online Learning with Limited Feedback", 2009. **Note: there is a typo in the slides and paper that were fixed in the NIPS paper. Monte Carlo Sampling and Regret Minimization for Equilibrium Computation and Decision-Making in Large Extensive Form Games. Ph.D. Thesis, University of Alberta, Computing Science Dept. (2013). MSc. Thesis, McGill CS Dept. (2005).